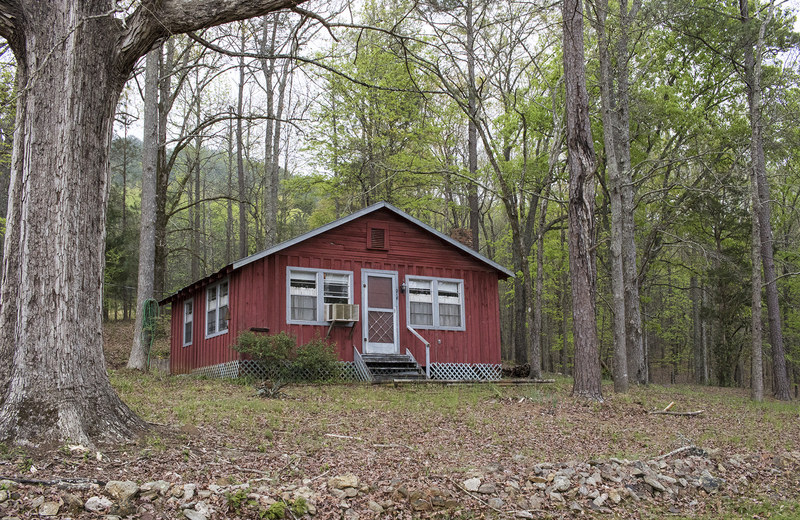 At the southern tip of the Appalachian region lies a small town, with land abundant in natural resources and a community whose roots stretch across the span of generations. A ten minute drive down the main stretch can get you from one end of the town to the next, pastures and historical features lining the old paved road. 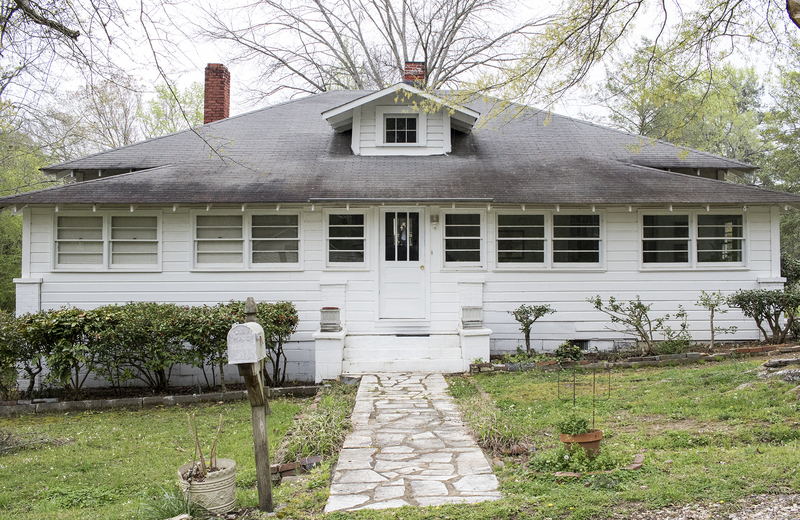 Homes, with foundations going back as far as the late 1800s, are still inhabited by the generations that came to be, following the settlement of their original family member. 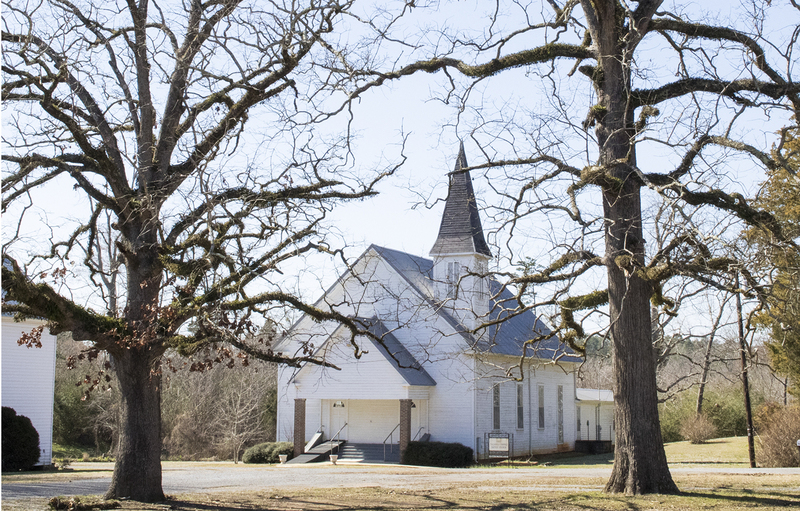 The bell of a wooden-paneled white church, located just behind where the four main stores once sat, is still heard every Sunday morning ringing through the town, just as it did on its very first day in 1910. It is the same soothing tone that residents over 80 years old can remember hearing as a child and is an encompassment of all that has been and all that is to be in years to come. 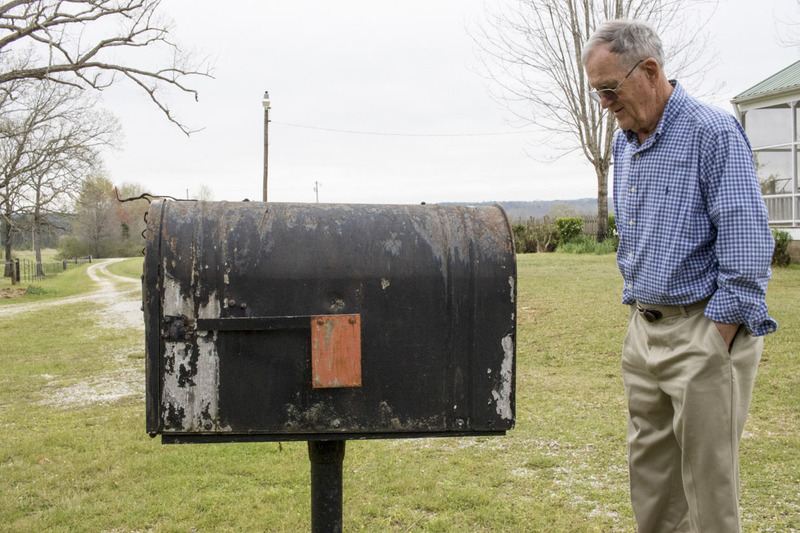 Every inch of the land holds a story of its own, from its historical battles and settlement to the reason this community has stayed so connected and grounded through the years. The land, originally settled by the Creek Indians, was a desired location because of all that was found to lie within. The bright red soil, fully-enriched with minerals, the mountain sides with springs trickling down the rock, and the pure beauty of the flat land, are just a few of the main attractions. The land was and continues to be viable and a solid support for the livelihoods that have been created within its county lines. 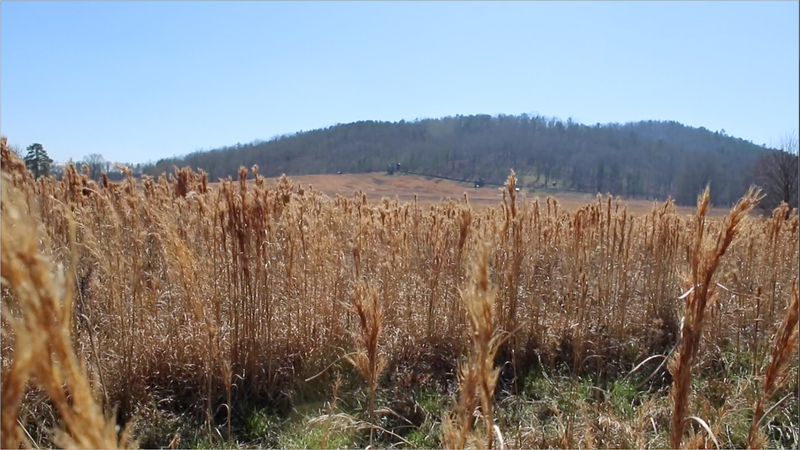 Residents say that because of this flat land, an uncommon feature for Appalachia, generations have been able to flourish and be self-sufficient. Their lives were built on this foundation and will continue to grow because of its support. With its perfect climate, abundant nature and their quiet lives, they have been able to find the balance to develop alongside this area’s strengths. The red clay soil found in this area is quite a staple to the region. The soil found across the land and in the rivers is a product of weathered limestone and has a rather thick and grainy texture. Its makeup is best suited for cultivating crops such as corn and cotton. The springs, for which people from all over came to experience, were once thought to have healing powers for ailments of all kinds. The springs, which are naturally occurring pockets over water that contain sulfur and other minerals, have a distinct smell that residents can remember clearly — some even saying it was like rotten eggs. It’s now known that the springs do not have curing powers, but for the town and areas surrounding, it’s still a fond memory. The cotton grown throughout Alabama and specifically in the Fayetteville/Sylacauga area, was one of the original driving economic factors. With the sandy loam, red clay soil, and the hot climate, the crop is able to thrive. It is usually planted in the months of March or April, when the risk of freezing temperatures or frost are at a low. Created hundreds of millions of years ago, marble began as marine shellfish. 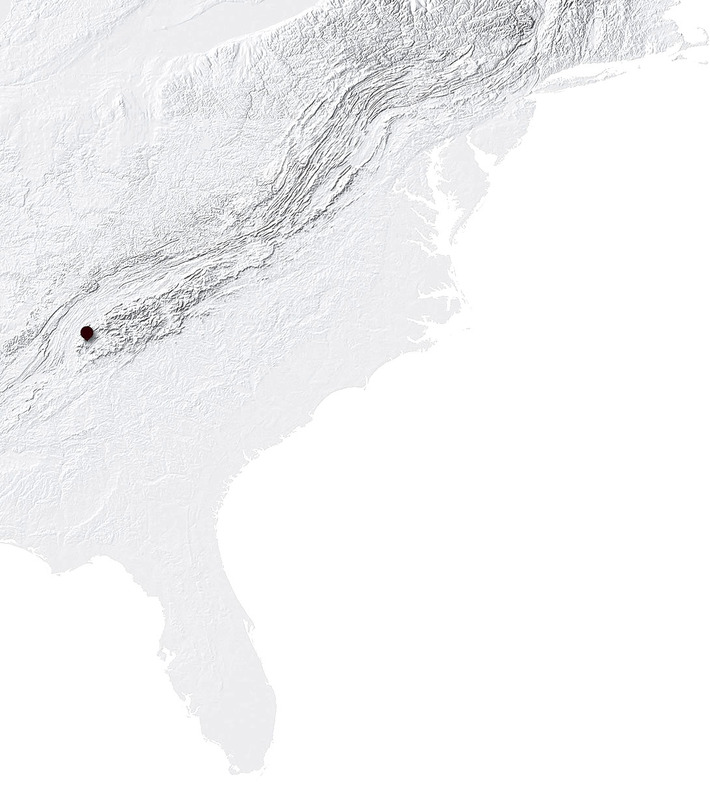 Over the years, the shellfish piled up and formed together during the collision of continents, which is also what ultimately created the Appalachian Mountains. The Alabama Marble Co, situated in Sylacauga, Alabama, is home to some of the most durable and white marble. This stone also serves as the state rock for Alabama. Cattle farms can be found all over Alabama with the state having one of the largest cattlemen’s associations in the nation. The cattle doesn’t just go toward the beef industry, but is also used for purposes directly related to the land. Farmers with large pastures will often use cattle to graze and naturally fertilize, especially during the months when fertilizing isn’t in one’s best interest. 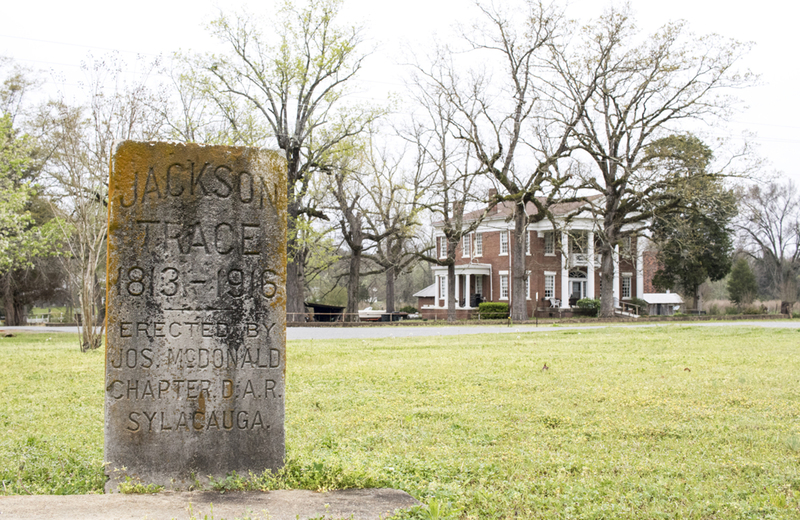 Some residents of Talladega Springs raise cattle for both purposes, for reasons of keeping the land and producing their own food source. Although the land was the main attributing factor for how this area came to be, the community is why this area continues to exist and thrive today. 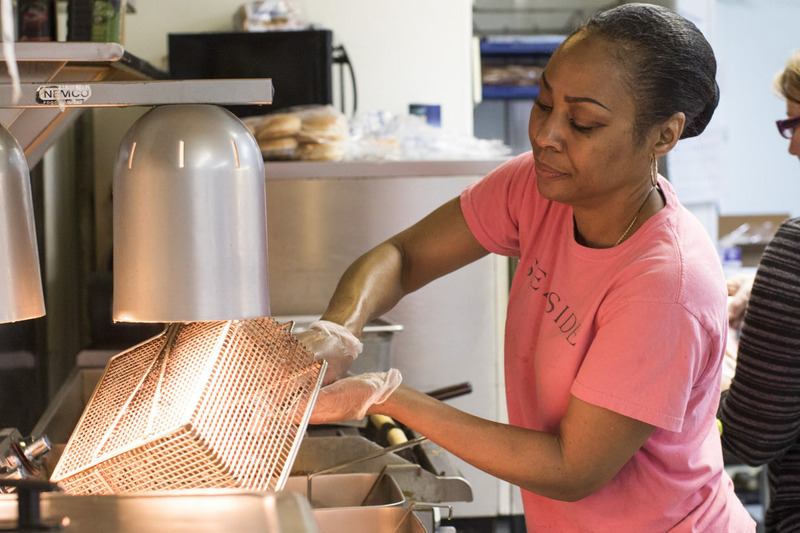 Branching off of its one main road, lined with pastures, cotton fields and sulphur springs, you’ll find just a handful of small business — a gas station or two, the local café, maybe even a road-side fruit stand. It’s understood in this community that it’s not quantity, but quality, and they know they have the best. The small town pride is strong and evident; one of the local restaurants is named after the local school’s mascot. Walls are adorned top to bottom and even napkin holders have the school’s baseball team on display. A trip to the grocery store is typically met with warm smiles and pauses to ask how everyone is doing. It is almost guaranteed residents will see everyone they know over the course of the weekend. "One day this man at work said, David Wilson, I'm gonna give you a nickname and you're gonna wear it for the rest of your life. It's gonna be Big Daddy. They put that name on my uniform and everything. Swear to this day no one knows my name, I'm just Big Daddy... and here I sit, Big Daddy at Big Daddy's cafe." 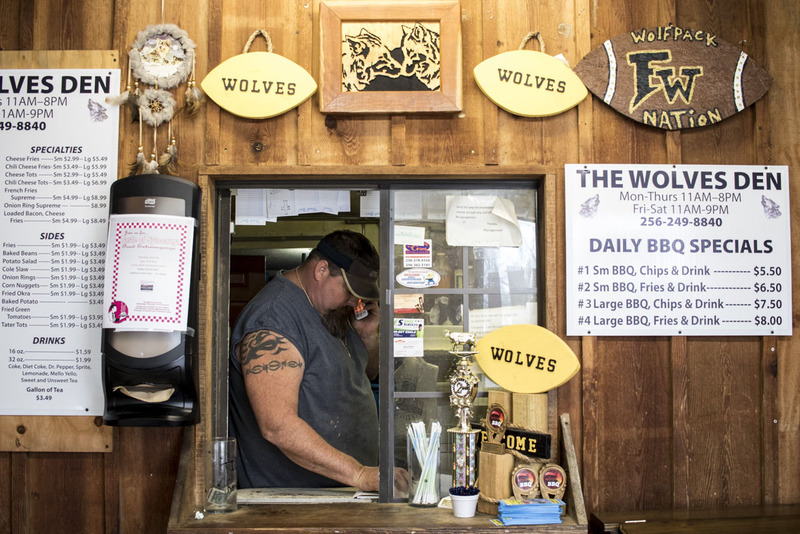 "We're the Wolves Den because of the Fayetteville Wolves, our local school. The mural that's been painted for the school was actually the same artist that painted our sign here. We try to keep a lot of the connections, it's a great school, great area, we love it." "I guess we had more than most of ‘em and she wouldn’t let me eat an ice cream down there ‘cause it was in front of the other kids that didn’t have any. We weren’t raised quite like the others, I was very rambunctious, but we were raised well." 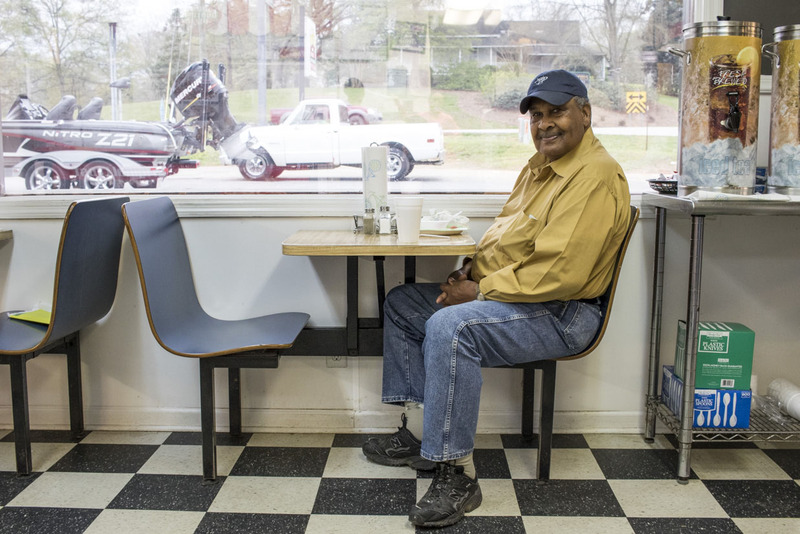 "One day a man saw, 'Big Daddy' on my uniform and said, 'hey I'm looking to open a new café and I need a good name. Would you mind if I used Big Daddy for it?' And I said, no sir, so everyone thinks I'm Big Daddy, the owner. I'm not, but I don't always let them know that." Built around the turn of the 20th century, the old church and farm houses remain as historical tributes and timeless features of this small town. The walls hold sacred memories of the lives of residents, with certain sounds and smells bringing them back to when they were young. 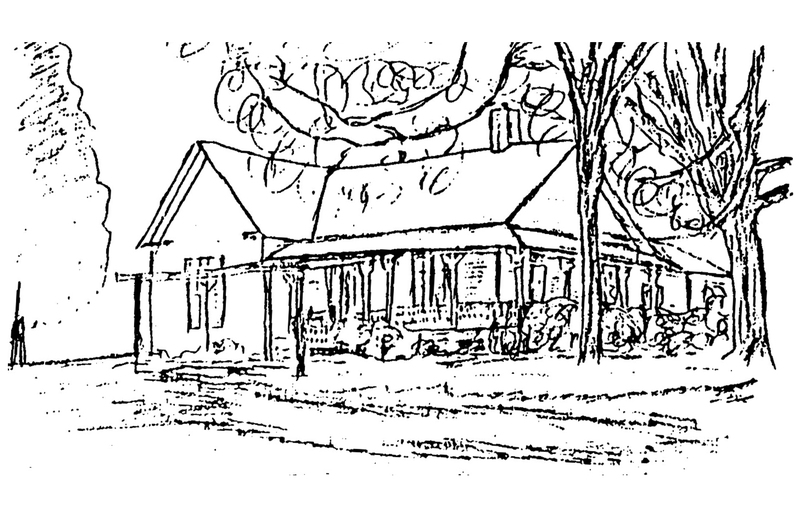 In an effort to tangibly preserve these sentiments, Mary Watters Jackson, a long-time resident of Talladega Springs, compiled a memory book that archived and celebrated the community’s history. 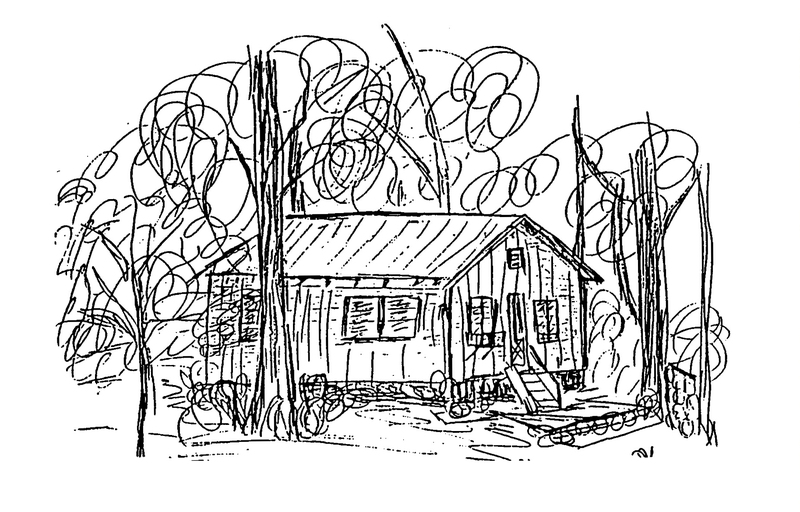 Pages filled with maps, photographs, news articles and even hand-drawn portrayals of the communities’ homes and notable landmarks demonstrate the unique heritage that is an indelible part of this community. 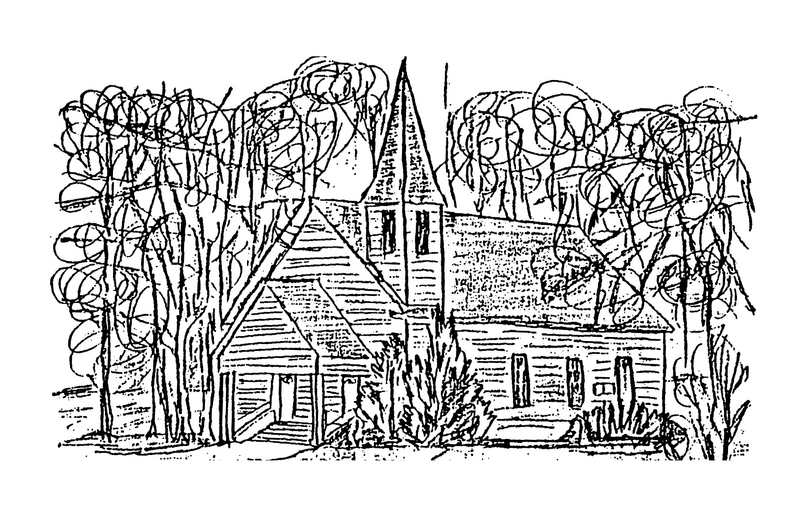 The Talladega Springs First Baptist Church was constituted in 1910 with 20 charter members coming from the Fayetville Baptist Church of Talladega County and the Union Springs Baptist Church of Coosa County. The cost of the building was $1850. The tall window on the north side of the church was installed so that Mrs. Mary Cathron Jennings Mitchell, an invalid, could attend church. The building has been remodeled on the inside and a stoop built on the front porch. This house was built about 1912 by William Henry Mitchell and his wife, Mary Cathron Jennings. 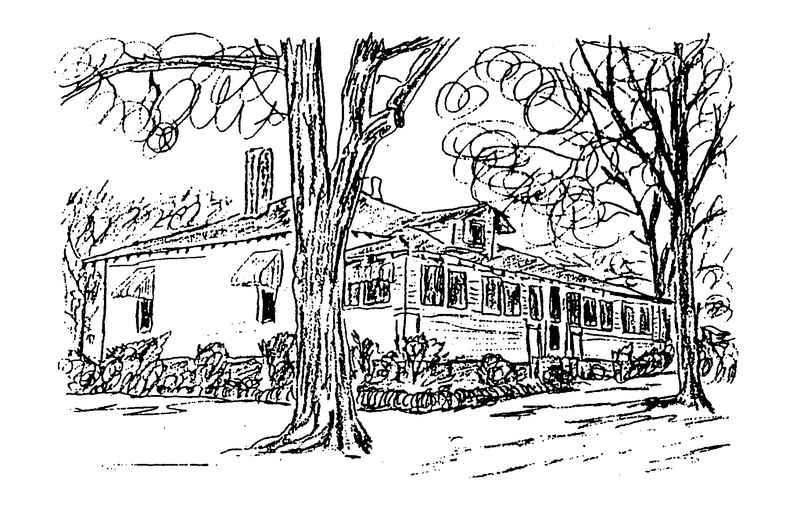 After Mr. Mitchell's death in 1932, his son, T.S., inherited the house. The present owner of the mansion, Frank Mitchell and his wife Joyce, is a grandson of the original owner. They completed partial restoration of the house within the last few years and are renting it for weddings, receptions, etc. 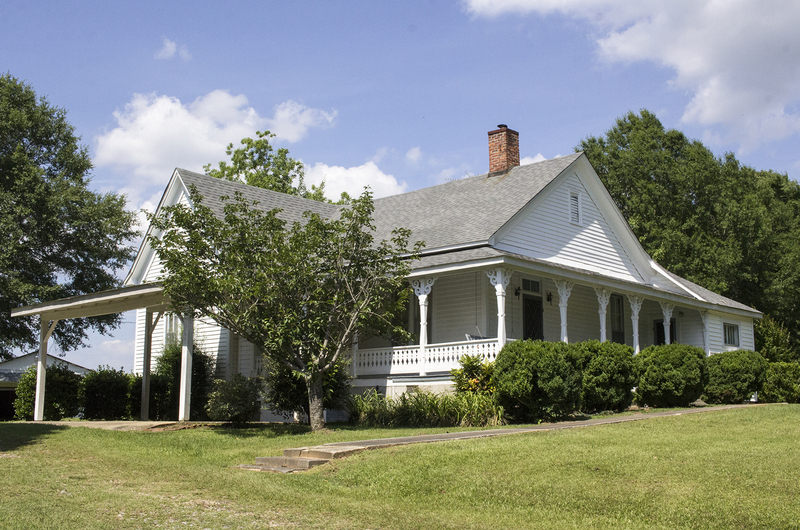 This house was built by Dave Glenn and his wife, Fanny Jackson about 1889-90 and is the second oldest house in Talladega Springs still standing. They sold it to her brother, Joshua Jackson in 1893. Joshua Jackson died in 1923. After the death of his wife, Martha Florence Morris, in 1927, the house came into the posession of their youngest son, Morris David Jackson. He and all his children were born in the house. After his death in 1969, it was inherited by his wife, Mary Watters. It continues to be the gathering place for the Jackson family. The original house on this site, owned by the Byrd Norred family, burned in 1922. The present house was built in its place. After the death of the owner, his son Garnett and wife, Anna Watters became the owners. The home remains in the Garnett Norred family. This small red house is a section of the original Threadgill house. 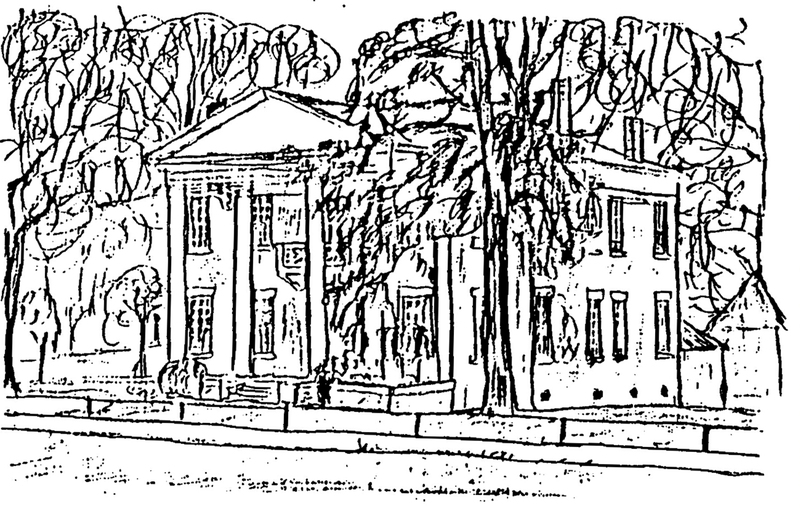 The original house was split into two homes, the larger of which is the Gaines Norred house. This small house still remains in the Threadgill family. These homes have been the birth place of generations. Their rooms served as both a place of solace and celebration — where a mother would rock her newborn baby to sleep, families would gather for parties, and neighbors would stop in to say hello. They have withstood tornado seasons and the ware and tear of time. While much else has changed, the appreciation and emotional connection this community has for its roots and upbringing is everlasting.